Before you even start, tackle the technology. While we curse it and say how much time it wastes, it’s not it. It’s us. Your computer hasn’t got teeth. 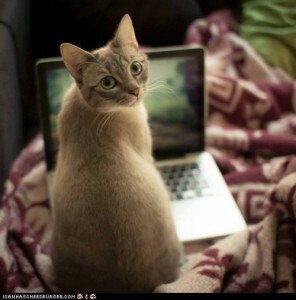 It’s not going to bite if you don’t look at your emails (though of course it can get back to you in other sneaky ways). So first, turn of the bling or ping or whatever noise your computer makes when an email comes in. If, like me, you also have a distracting little box that appears top right, see if you can kill it. You may not be able to do so, but you can try. Looking for inspiration – always a good excuse – I decided to do some ‘research’ for this post. So I Googled and found much more than even I had bargained for. Just one of the suggestions offered had no less than thirty five new ways to waste time or to find inspiration, if you prefer to think of it that way. That’s the delight and the curse of the web. A true double-edged sword. But I wouldn’t be without it. Nevertheless, it is madly distracting so, if possible, restrict your ‘research’ to evenings. How many cups of tea does it take to write a novel? The thing people often forget to say is that you need to know the rules before you can break them. There’s not a lot of fun in breaking a rule if you don’t know you are breaking it. And there are of course exceptions to any rule, provided you know it in the first place. And as I’ve said before, it’s probably better to make a cup tea or get a coffee than put something in the Google search bar. A cup of tea might take ten minutes. Make that fatal click and you’ll be there for hours. Trust me. I’m a writer. When I first started writing, I simply wrote. I wrote in every form except the novel. Too long. Too difficult. Not for me. Or so I thought. Until I tried it and found it was a perfect fit. Typical! I discovered how to write by writing and by copying what my favourite authors did. 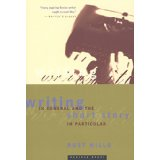 Later, when I began to write novels, I also read some wise, practical ‘how-to’ books on the craft. For it is a craft. Yes, there is such a thing as inspiration and inherent talent. Yes, some things can’t be taught but there’s a great deal that can be learned. You just keep on writing, keep your bum on the seat and don’t give up. I’m not ashamed to admit that I used to write with pen in one hand and how-to book, or a novel, in the other. I read anything and everything. And this too was, I believe, critical to my formation as a writer. I had read most of Agatha Christie’s work by the time I was twelve. My school made us read the classics so Dickens, Tolstoy, Thackeray and other great writers were my companions. I owe my very survival, in no small part, to reading. Then came the MA at Sheffield Hallam and another steep learning curve. Luckily the skills I lacked were the skills that could be taught. Skills like understanding narrative drive, the difference between a first draft and a finished novel. As a copywriter I knew how to cut and edit. But throwing out great chunks because they are not working. That’s hard. But necessary. Here are just a very few of the many books I learned from along the way. Only a small sample, but an important sample nonetheless. Writing in General and the Short Story in Particular - Rust Hills Beginning, middle end. Character and plot. Setting and motivation. It’s all there. Whether you are writing short stories or novels, this is a practical, down to earth book that no writer should be without. 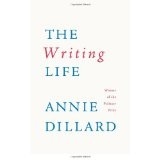 The Writing Life - Annie Dillard This book has been called ‘a kind of spiritual Strunk & White. It’s full of little stories about what it’s like to be a writer. It’s an inspiration. It’s the sort of book that makes you feel you are not alone and gives you the courage to carry on. 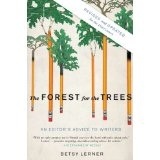 The Forest for the Trees - Betsy Lerner Subtitled An Editor’s Advice to Writers, this common sense and indispensible book gives valuable insights into an editor’s mind. It’s not a ‘how to’ book, it’s a ‘must have’ book. Fascinating, authoritative and comforting at the same time. 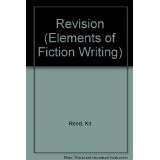 Revision –Kit Reed I doubt I could ever have managed to edit and revise my books without the help of this splendid volume. Part of a series, it takes you step by step through the process of revision. And shows how rewriting is a natural, essential part of writing fiction. 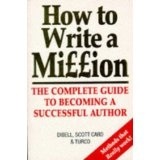 How to Write a Million – Dibell, Scott Card & Turco Don’t be fooled by the title, which was probably thought up by the marketing department. This is no ‘get rich quick’ manual. This is a solid, common sense set of guides. The three topics – Plot, Characters and Viewpoint and Dialogue – are each broken up into short sections, which are easy to read and absorb. 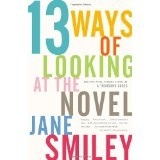 Thirteen ways of Looking at the Novel - Jane Smiley ‘What to read and how to write.’ That’s it in essence.an analysis of each book, it covers a vast range of topics from the psychology of the novel to its origins and history. 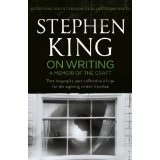 On Writing – Stephen King Part autobiography. 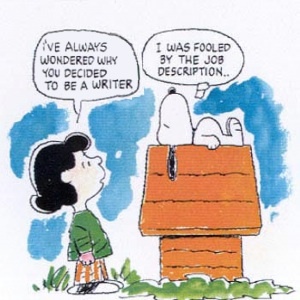 Part level headed advice for aspiring writers. This is an absorbing and compelling book, from one of America’s most prolific and successful writers. 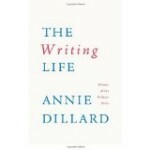 And a book that hammers home the need for writers to read. And read. And read some more. 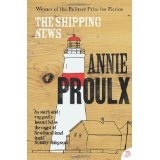 The Shipping News - E. Annie Proulx Go for the original. Forget the film. It has nothing to do with the book. Another novel that was always open on my desk. Her prose is poetic, her style distinct. The regular omission of active verbs validated my own style. (Am I allowed to do this?) I found it spellbindingand instructive. 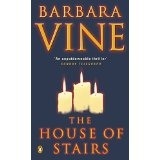 The House of Stairs - Barbara Vine Published in 1988, this is the third novel Ruth Rendell wrote under the name Barbara Vine. This, above all the others, was my bible. It was one of the books nearly always open on my desk as I wrote. To see how it was done. 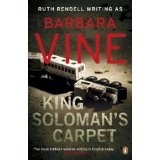 I believe that, along with King Solomon’s Carpet, it influenced me to set my books in London, in real time. King Soloman’s Carpet - Barbara Vine Three years after The House of Stairs came King Soloman’s Carpet. Once more the action takes place in London, noteably in West Hampstead and in the London underground. This too was a big influence. I’ve just pulled out my old copy to find that twenty-three post-it notes still adorn its pages.